The Financial Transactions Tax is soon to be top of the political agenda once again in Europe. Though the financial transactions tax (FTT) has long been on the political radar, it may be about to shoot up the news agenda once again. 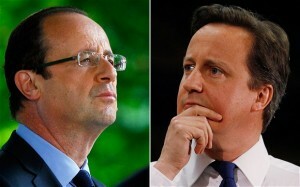 European ministers are set to meet on 22 June to debate a raft of issues, including, it seems likely, the FTT. With a vocal advocate in the shape of President Hollande having recently come into office, FTT remains at the forefront of the minds of European leaders. Our own prime minister’s vehement opposition to the very principle of the FTT (with his speaking occasionally of a global deal but doing little to drive forward any such initiative) is but one issue where he is out of step with much of the continent. Whilst parliamentarians (including myself) in this country have expressed approval for the FTT through various means, the wider Labour Party will debate the issue in some depth in the coming days. Amongst many interesting documents sent to the party’s National Policy Forum which meets at the end of this week is a submission from the Robin Hood Tax coalition which advocates Labour adopting the FTT as party policy. The FTT – which rolls out the present £3bn raised through the stamp duty on share transactions to further taxes on bonds and derivatives – has the potential to raise £20bn per annum in the UK: over six times the size of the Green Investment Bank, ten times the amount the government’s proposed pension fund investment platform will raise, and twelve times the revenue often linked to that flagship Lib Dem policy (at least before the last election), the mansion tax. Labour’s five point plan for growth has offered a much needed positive counterbalance to the coalition’s negative message of austerity. With the government’s slashing of public spending leading to economic stagnation, Ed Balls, Rachel Reeves and others are to be congratulated for their sterling work in questioning the downward spiral of Osborne’s economics. The green shoots of recovery set in motion by the last Labour budget of March 2010 have been choked by the coalition’s anti-growth approach, and Labour has held them to account. But there is more work to be done. Though it accomplished historic achievements in several areas, the last government could, it has been argued, have done more to clamp down on financial speculation. Labour must learn the lessons here. The FTT is a potential double-win for our economy in that it curbs unwanted financial speculation whilst creating a revenue stream that can be invested in more worthwhile pursuits. Tackling climate change and meeting our international development commitments are two areas that would benefit from such additional revenues. But the FTT can deliver economic growth too. When the European Commission published its proposals for an EU-wide FTT it was met with howls of derision from the right-wing press. Initial modeling did indeed indicate that such a tax could have a negative impact on growth of up to 0.5%. Whilst the current government may run the economy on such principles, Labour has always held a more positive and dynamic view of the power of government to shape our economy. The state does not stand as a merely passive instrument which must get out of the way of market forces, but can be a dynamic economic player in its own right. It can, and should, act to curb excessive speculation. It can, and should, invest the capital raised by taxing such practices for the good of the majority. As Persaud shows, the effect of a well-designed FTT would be to make a positive, not negative, impact on growth. This could, it is true, take many forms. A ‘British Investment’ (or ‘National Infrastructure’) Bank has been hypothesised by various commentators over the past few months. Either through direct investment or facilitating that of the private sector, there is much a pro-active government could do with £20bn. Similarly, there are the provisions of the five point plan: a jobs guarantee, bringing forward long term infrastructure projects, lowering the rate of VAT, cutting it to 5% on home improvements and a one year national insurance break for every small firm which takes on extra workers. An FTT would help build upon such pledges, possibly expand them, and could also help fund other measures to jumpstart our economy. We are three years away from the next election, and Jon Cruddas’s formal policy review work has only just started. He, and the National Policy Forum meeting this weekend, have much to consider. The FTT is worth serious thought during such discussions. Yep. A fiver every time you use an ATM. Just what the country needs. More tax. MP @tpearce003 on FTT, Labour party + growth. See @leftfootfwd article http://t.co/6ZmXLKhp ahead of robin hood submission to NPF this w/e. That’s right, you can’t pay your way like the 99%. Sweden’s short-lived FTT raised 3 percent of projected revenues, not enough to cover the cost of collecting the tax. Most people. yes, which is why your crusade to make the City the be-all and end-all is so interesting. Sweden made the mistake of going it alone, with a poorly structured tax and no ability to ensure that any business inside the zone paid (and yes they can do that, unless VAT is illegal). This has none of those flaws. Moreover, we’re seeing far MORE damage being done by the financial sector than that today. Entirely agree with this article. Labour should adopt this as a matter of urgency, and work towards international agreement. Which is completely unrealistic, you can’t expect other industries to recover while the needed investment capital is in a stranglehold. What would the money be spent on? This week the Rio Earth Summit is on – but without legally binding commitments being considered, the main way agreements there can be implemented is through finance. But there is no new money on the table at present. FTT – along with getting rid of fossil fuel subsidies – could provide some of the money needed for investment in ecosystems so we can maintain water and food supplies.